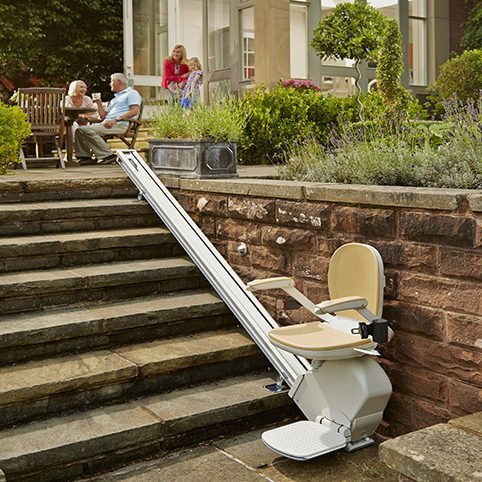 Our stairlift partner Acorn Stairlifts fit and supply some great solutions and will tailor the best system just for you. Pennington Mobility are very pleased to have been recommending Acorn Stairlifts to their customers for a number of years. We have had excellent feedback from our customers regarding both quality of product and delivery of service. Acorn Stairlifts are known internationally as market leaders in terms of technology and design. 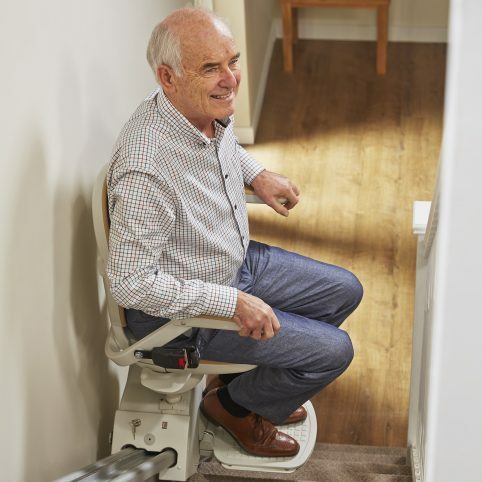 The stairlifts are quickly and easily installed yet easy to maintain and offer a full range of security and comfort features. Acorn Stairlifts have delivered quality products along with peace of mind to thousands of satisfied customers. Acorn Stairlifts was formed in 1992 and are an international, family-owned company with over 1400 employees worldwide. Their core business is the manufacture and sale of a range of stairlifts. As well as having a significant presence in the United Kingdom and the United States, Acorn Stairlifts also has offices in Australia, Canada, France, Italy, Germany and South Africa, making their range the world’s best selling stairlifts. Acorn Stairlifts were the first stairlift manufacturer to develop a system using DC batteries to power a stairlift motor. The advantages of smooth power delivery and the ability to operate during a power cut have made the DC battery the recognised standard in today’s stairlifts. Experienced surveyors are based all around the UK, so there’ll be no delay in organising a visit at a time that’s convenient to you to offer a survey and quotation. A surveyor will spend time understanding your mobility needs as the most important part of the stairlift equation is the person using it. To request a brochure and find out more about an Acorn Stairlift solution for you please fill in the form below. Or please feel free to call Acorn Stairlifts direct on their free phone number 0800 016 9281. If you would like Acorn Stairlifts to send you further information on their products please fill in the form below. Note. Your information will be provided to Acorn Stairlifts who conform with GDPR so will only use your data to contact you about your request. 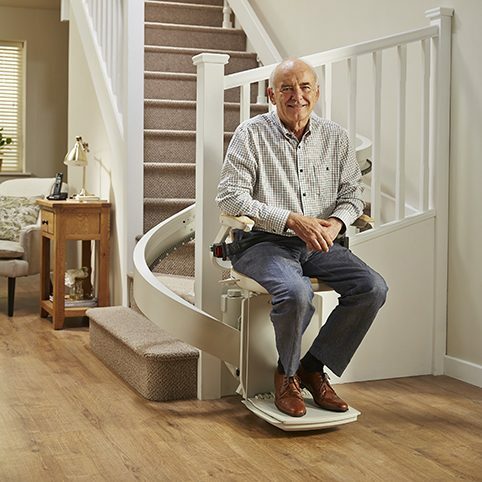 If now or in the future a stairlift may be of interest to you please fill in the above form to find out more about an Acorn Stairlift. A brochure will be sent to you with no further obligation.